Oranges. Yes, oranges. 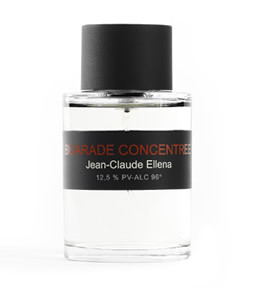 In particular, the bitter oranges of Jean-Claude Ellena’s Bigarade Concentrée (Frederic Malle Edition de Parfums). Essentially, Bigarade Concentrée is a cousin of Ellena’s Déclaration for Cartier, but executed with more recherché ingredients. Here I contend, though, that Ellena has tried really hard to create a virtual bigarade to fly in the face of ‘citrus’-classified fragrances. Apparent here is his trademark process of adding and leaving out – adding the rose behind the orange, adding hay and cedar absolutes, but leaving out the glass-cleaner mimicry of high-toned hespiridic materials. Frederic Malle is Louis Malle's nephew. I, too, like Alpona for cool-weather use. It is more crystallized than BC, but both scents share a cedar note. I loved Nina Ricci's Bigarade back in the Jurassic Era....don't exactly remember what it smelled like (just remember that I loved it). This comes close to exciting that sort of love for orange - the Cologne is perfect for spritzing on a scorching day but as you said, the Concentree just 'works' in winter. Musette- Thanks for your enlightening remark re the Nina Ricci. I have such respect for the scents that used to be released under the Nina Ricci brand. In high school, I fell in love with Ricci Club and subsequently smashed my only bottle, by accident, in a cast-iron sink. Recently, a dear friend in Berkeley introduced me to her teensy-weensy bottle of Capricci, of which a mere drop sent me into a swoon. I have the FM Bigarade shower gel and body cream. I have found that the Concentrée's tenacity is aided by the use of both these ancillary products. Of course, the cost here must be prohibitive for most people...Hélas. ...the "naked" sharpness of the FM orange is what makes me love it; the "Atlantic City" reference seems spot on. ScentSelf, Thanks for mentioning it. I get more citrus during the holidays than I know what to do with! Vetivresse , Your writing is beautiful. But most people can not understand it and most of the perfume you write about are not available to the average person. Anytime you might need a discussion of perfume most people really purchase and wear I would be happy to contribute .